As I awoke on a recent Sunday before 11 A.M., I asked myself: "What does one do in this sort of situation?" The answer is BRUNCH. 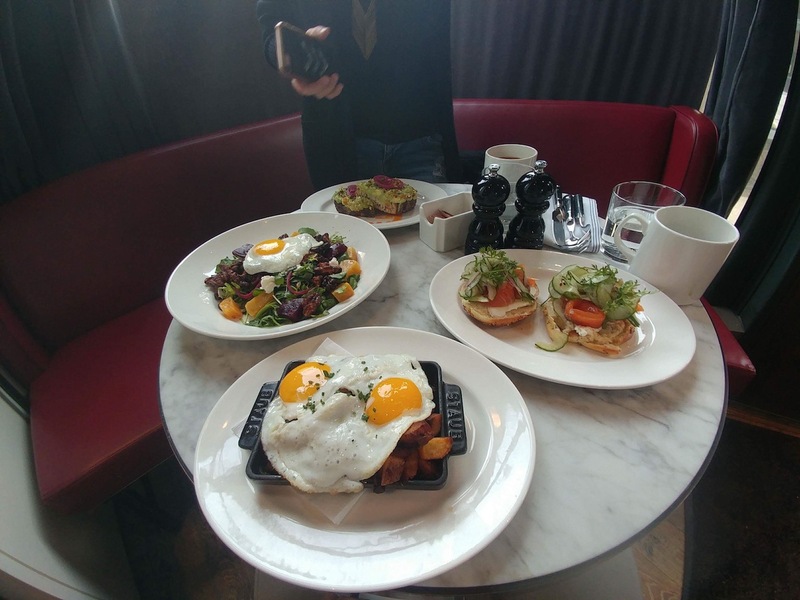 So I hit up Cafe Robey, in Wicker Park, since I had heard great things about their avocado toast and pancake stacks. Also, isn't brunch enough of a reason to go anywhere?? The Café itself is located in the bottom floor of the Robey Hotel (formerly the Northwest Tower.) Originally constructed as an office building in 1929, the rooms and landscape have since been transformed into a hotel, restaurant, and rooftop lounge. 1. The turkey hash. The turkey hash comes in a little skillet, hiding behind a blanket off eggs just begging to be popped. Underneath the eggs you'll find crisp squares of potato and pieces of flavorful turkey. It was slightly different but very comforting. 2. It’s super cute. Part of what makes Robey Cafe so pleasant is how cozy and cute it is. The tables are small, but it gives off the kind of intimate yet casual description that's kiiiinda overused but nice, all the same. I guess if you decide to order a feast you might need two tables, haha! 3. The avocado toast has chilli. Say what you will, I’ve been on the avocado toast train for years now and I have no plans to get off any time soon. Whenever I see avocado toast on a menu, I order it. And it’s almost always good (It’s hard to screw up avocado toast but anything is possible.) Happily at Cafe Robey it's tasty! 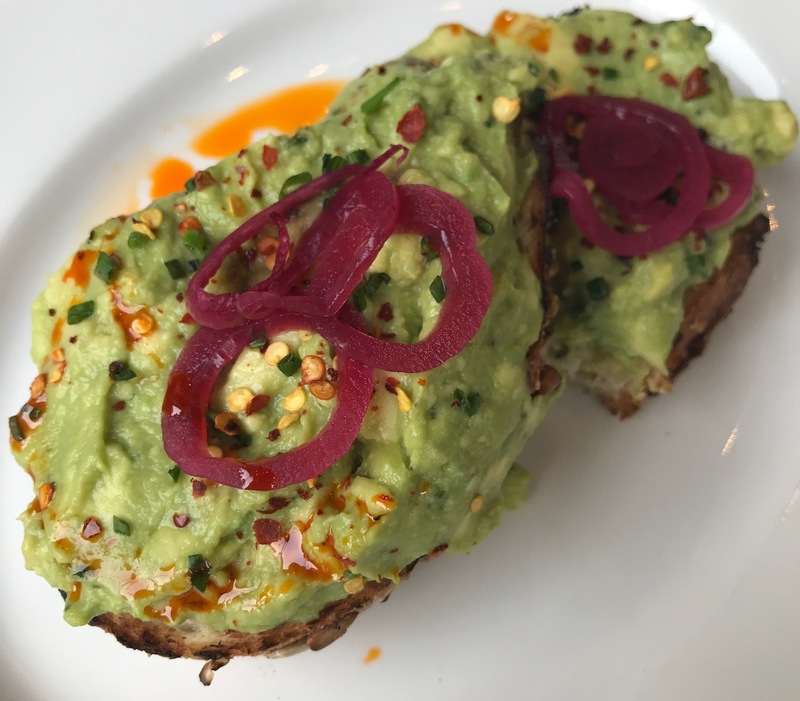 The thickly sliced bread is enough to stand up to the mound of avocado on top, and Cafe Robey’s avo toast has spicy chilli and pickled onions on top, which provides a kick to make this stand out. 4. The bagel and lox. 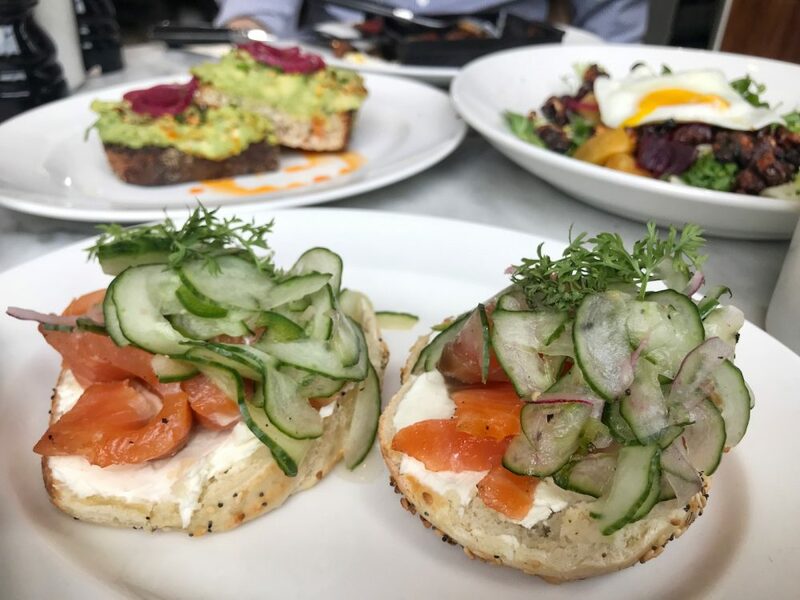 This is a gorgeous dish, featuring a pretty cucumber slaw over cured salmon on bagels with cream cheese. I couldn't stop taking pictures of it. Luckily my brunch mate had other things to work into (*cough cough* left me almost no turkey hash!!) while I made the bagels pose. Booze and candy, what more could you ask for? 5. Drinks with candy upstairs. After you’re done with brunch, if you feel like hanging around there’s also a rooftop bar upstairs. (I know I know, it’s cold now, but there’s an inside part too.) 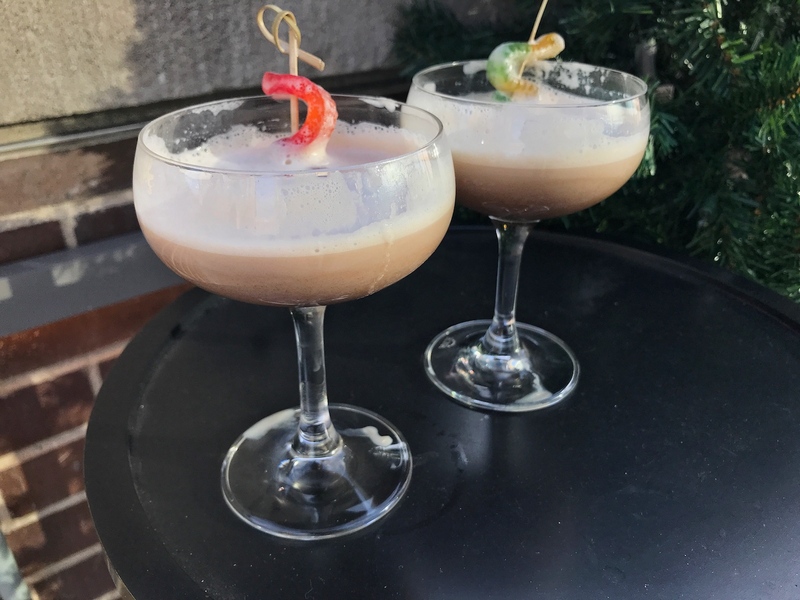 After seeing pics on Instagram, I wanted to try the Worms in Dirt cocktail because it has CANDY. Booze and candy, what more could you ask for? 6. Places to wander around afterwards. If you don’t feel like drinking after brunch, there’s always somewhere to go right in the neighborhood. There are plenty of little shops in the area including bookstore, vintage boutiques and more. There are also a lot of different options for a "second breakfast" after that if you’re feeling ambitious. It’s even right by the blue line if you wanted to venture downtown!